Eell Ryoo, M.D. ; Yunna Gong, Medical student ; Hann Tchah, M.D. Yunyoung Gina Chang, M.P.H. ; Louise Dembry, MD, MS, MBA, FSHEA ; David Banach, M.D., M.P.H., M.S. Marcela Ferrada, M.D. ; Ninet Sinaii, Ph.D., M.P.H. ; David K. Henderson, M.D. ; Tara N. Palmore, M.D. 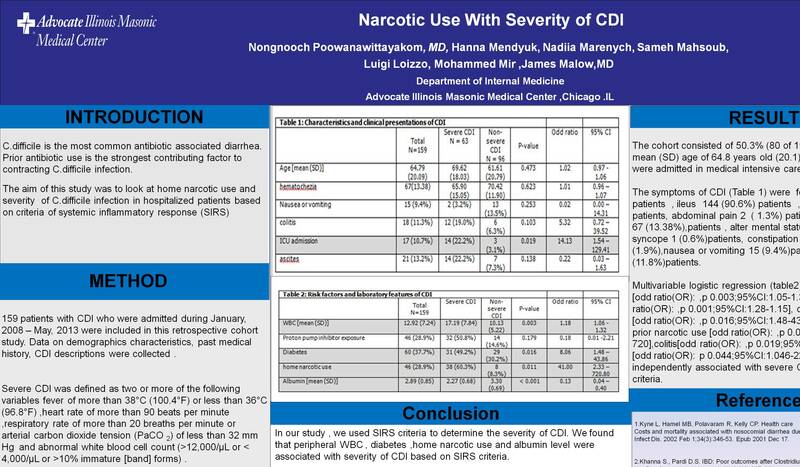 Home narcotic use and severity of CDI ? 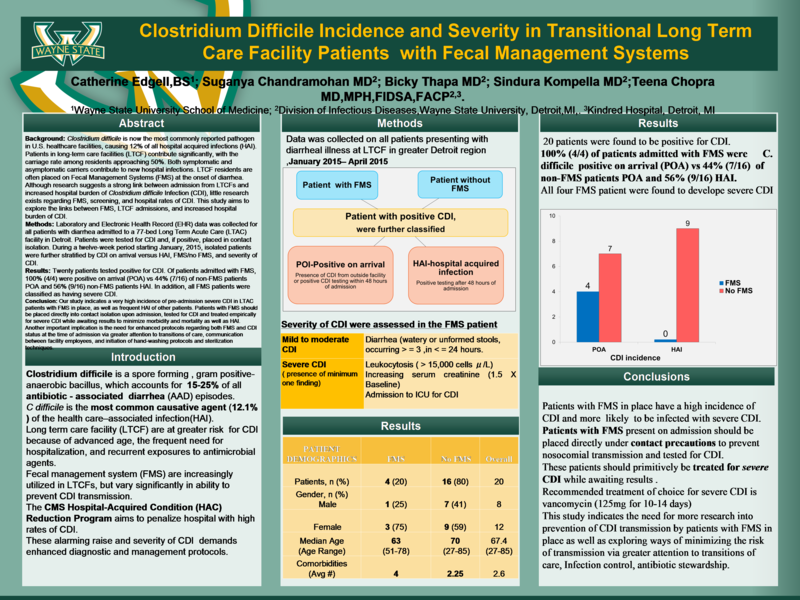 Is Clostridium difficile Infection a Risk Factor for Subsequent Bloodstream Infection? Mayu Hikone, M.D. ; Yusuke Ainoda, M.D., Ph.D. ; Kenichiro Kobayashi, M.D. ; Noritaka Sekiya, M.D. ; Hanako Kurai, M.D. ; Akifumi Imamura, M.D.